BEHOLD! 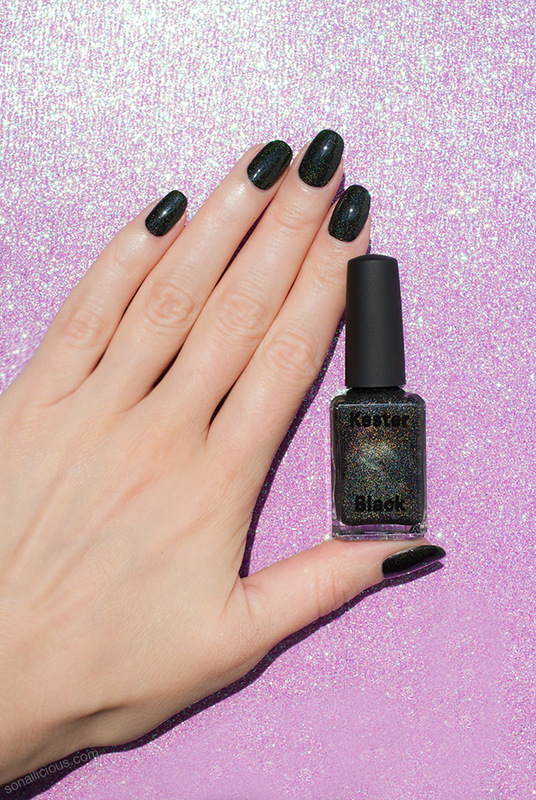 The perfect black holographic nail polish – Kester Black Black Diamonds. With ultra shiny holographic shimmer suspended in a jet black base, this black holographic nail polish is like no other! Usually black holographic lacquers have a brown or blue undertones which diminish their beauty, but not this one. It’s pure black with a crisp holographic effect. Kester Black Black Diamonds is one of the two limited edition colours from the new Soiree 2018 collection. On nails it looks like intergalactic midnight sky and shines with all colours of rainbow, just like a diamond, when exposed to bright light. However, it calms down in shade – the sparkle is less visible and looks almost silver. Which makes this polish perfect for day to night transitions – edgy black during the day, Black Diamonds turns to shiny supernova under the lights. 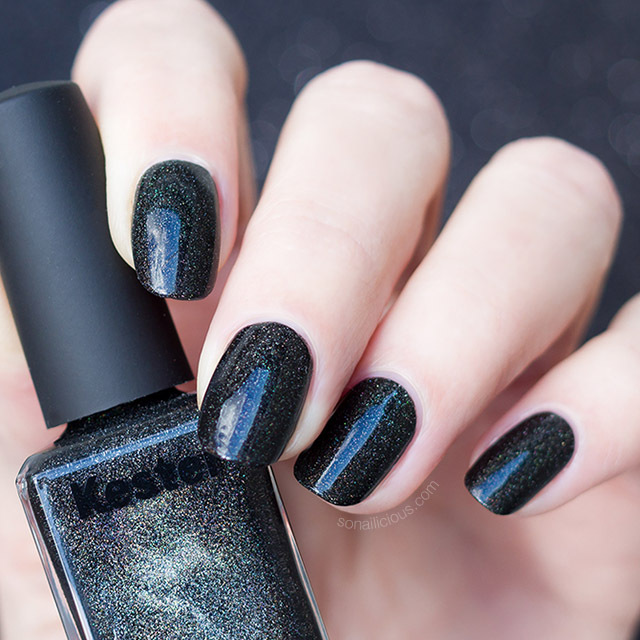 Formula: Kester Black Black Diamonds’ formula is flawless. 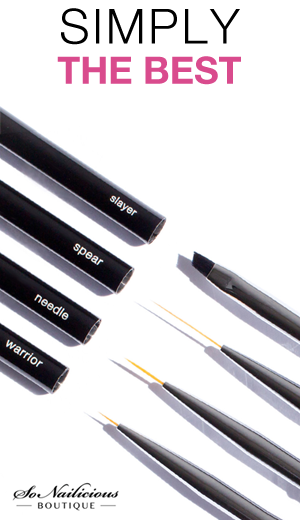 It’s very long-lasting (almost like gel) and highly pigmented – to achieve a fully opaque coverage you’d need 2 – 3 layers. It’s also 10-free, vegan, cruelty free, Water permeable and Halal friendly. Application: It was relatively easy to apply with the signature flat wide Kester Black brush. With just 2 coats it yields in a perfectly smooth coverage without any streaks or brush lines, which is great. 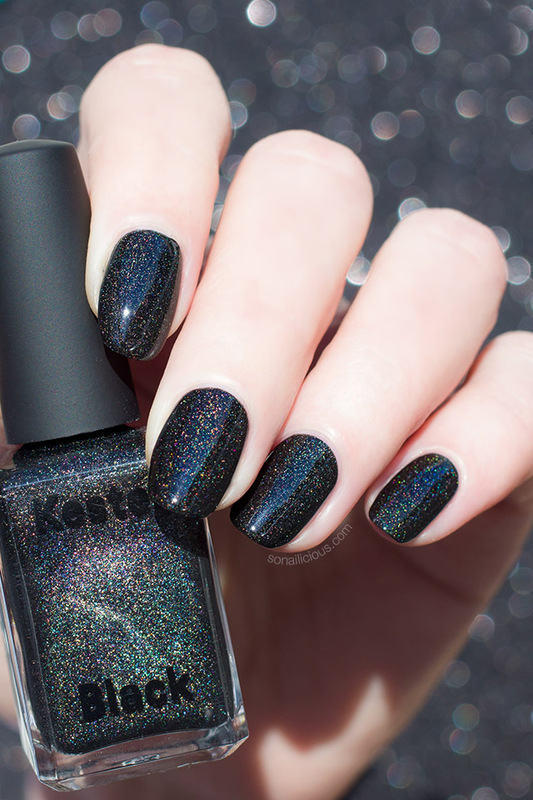 Finish/Colour: Kester Black Black Diamonds is a black holographic nail polish with a satin finish. The extra fine holographic shimmer is suspended in a jet black base and shines it’s brightest when exposed to bight light. 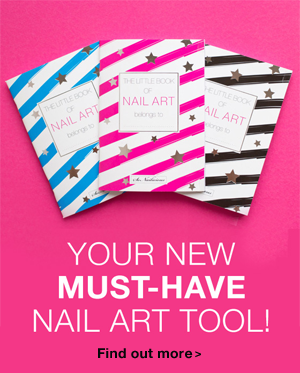 Nail Art: Perfect for any kind of nail art. 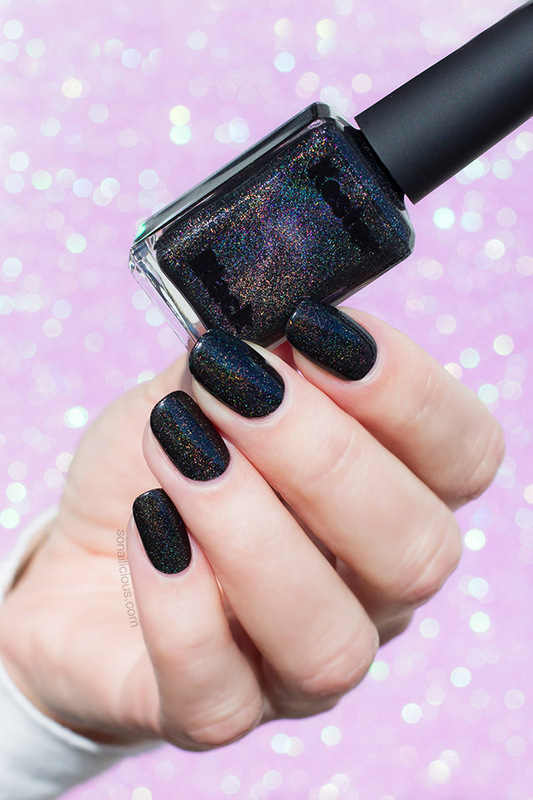 Dupes: There are some similar black holographic nail polishes out there. But in my collection, the holographic effect looks the best in Kester Black Black Diamonds. It’s crisp and very distinct. Wearability: Very long-lasting, it lasted 10 days with a top coat. Extra Notes: black nail polishes look their best when applied flawlessly, so make sure to clean up any application mistakes with an angled nail art brush dipped in acetone. I’d recommend 04 Slayer, because it’s very sharp and can get in (and clean up!) even under cuticles. Where to buy Black Diamonds: here $14.90 per bottle. 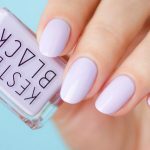 This polish is limited edition, so don’t delay! Needless to say, I’m smitten by this new Kester Black colour. 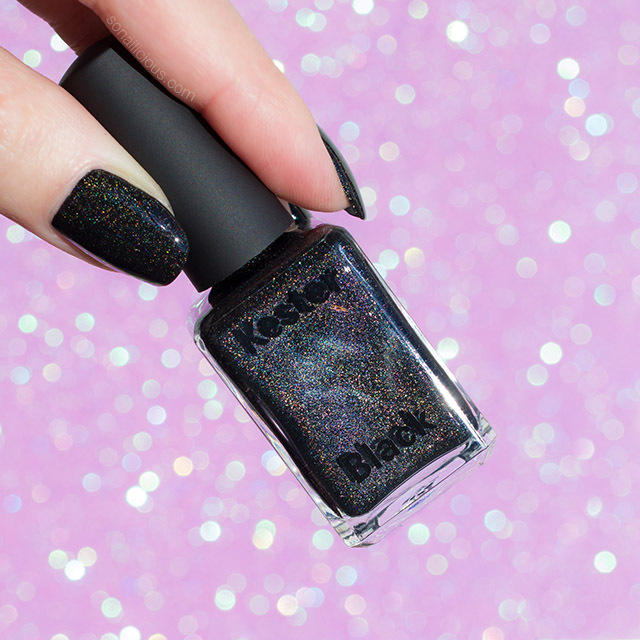 I’m not a huge fan of holo, but Black Diamonds has just the right amount of sparkle balanced by the pure jet black base – it shines bright on your nails and still looks chic. So if you’re like me, have been looking for a perfect black holographic, Black Diamonds is the one. Do you like holographic nail polishes? What do you think of Kester Black Black Diamonds?